Anthony Ingraffea, a notorious anti-fracking activist and a professor of engineering at Cornell University, is yet again planning to take his misleading anti-fracking claims on the road – this time to Florida – in his ongoing campaign to stop all fossil fuel development. The Conservancy of Southwest Florida recently sent out an invitation for a meeting at the end of September that will feature Ingraffea. Apparently, Ingraffea’s role in the anti-fracking echo chamber that led to the highly political hydraulic fracturing ban in New York has, not-surprisingly, caught the attention of similarly-inclined groups in Florida pushing for the same outcome in the Sunshine State. Unfortunately, the Conservancy failed to inform elected officials and community leaders that Ingraffea is one of the most thoroughly debunked activist academics writing about these issues. It is important to understand that the very research that helped elevate Ingraffea in the eyes of the anti-oil and gas activist community has been thoroughly debunked by the scientific community, including scientists working for reputable environmentalist organizations. Q. Right. So, let’s talk about your actual practical real world experience in the oil and gas business, okay? I’m not going to ask you about what you might do as a professor or sitting at a desk behind a computer doing simulations. I’m talking about field experience, so we understand one another, okay? Q. How many oil or gas wells have you participated in the actual design, construction, drilling or completion? Q. And, of course, we heard some reference to hydraulic fracturing. You’ve never participated in the hydraulic fracturing of an oil or gas well, have you, sir? Q. Have you ever observed hydraulic fracturing of an oil or gas well? A. Not on a pad, no. Q. By that you mean you looked at it on the screen, a computer screen in your office, is that right? And that wasn’t even the first time he admitted to a lack of expertise. Ingraffea also acknowledged during a 2013 interview with EcoWatch that his only experience with oil and gas development was a computer simulation project he worked on for one year, more than 30 years ago, that resulted in his belief that fracturing shale would be an impossible task. The actual technology development and perfection of this process of combining high volume hydraulic fracturing with horizontal drilling didn’t occur until 2004 in the Marcellus Shale, 20 years after Ingraffea had ceased to be a part of the research. During the same trial in which Ingraffea admitted he has no expertise in shale development, he also conceded to being “a self admitted advocate” against fracking. This is something he has bragged about in the past. That shouldn’t come as much of a surprise when one considers the types of events and groups he typically associates with. The Conservancy of Southwest Florida is one such group, as it has been highly vocal in its support of a fracking ban. Q. You recall making the statement to that group that you would be lying if you said that every one of your papers on shale gas was entirely objective. Do you recall saying that? Q. And you stand behind that, do you not? Q. So, not all of your papers are entirely objective but, your oral testimony here in this courtroom, I’m sure you will tell me, is entirely objective; right? Ingraffea has multiple affiliations with anti-fracking groups like Artists Against Fracking; however, perhaps the most notable association is with a group that he helped found: Physicians, Scientists and Engineers for Healthy Energy (PSE). PSE has released a slew of health studies that scapegoat fracking for every ailment under the sun, but offer no actual proof as to how they reached such a conclusion – the most recent of which Ingraffea had a hand in drafting. Notably, these studies couldn’t find causation even if they tried – something they have been heavily criticized for by other environmental groups – because none of the studies PSE releases or references take real measurements. The icing on the cake – the author of that memo just so happens to be PSE director Seth Shonkoff. 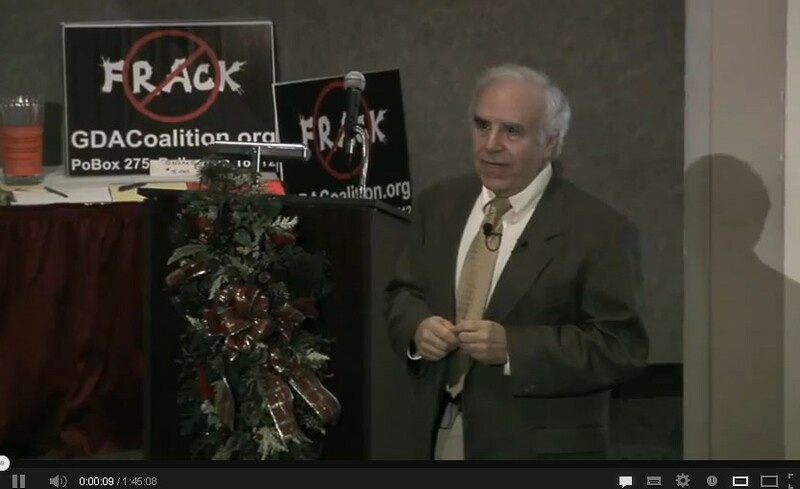 Tony Ingraffea is a lot of things, the most notable of which is being an unabashed anti-fracking activist, but an expert on shale development is not one of them. He has continuously been called out for his advocacy-laced, politicized, and heavily flawed research, and his very public affiliations make it impossible to view him as even remotely unbiased. By his own admissions, neither he nor his research should be considered objective. Yet, he will be making a presentation in Florida this month in the hopes of influencing state policy that could shut down an industry that has safely operated there for decades. The question is: how many Floridians, members of the legislature and the media will give him undo attention?